Living centerpieces are an increasingly popular choice for table decor because after an event, they can continue to flourish. 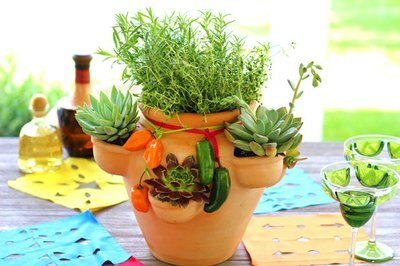 This herb and succulent garden nestled in a strawberry pot adds color and fragrance to Cinco de Mayo parties or festive summer celebrations. And when it's not gracing a table as a centerpiece, it can move to the kitchen or patio. Strawberry pots, which are terra cotta containers with "pockets" extending from the sides, can be purchased at nurseries. 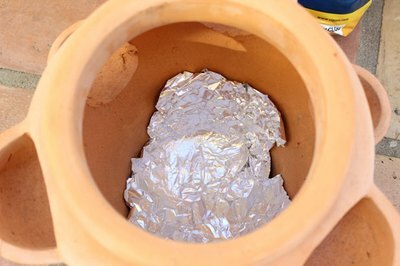 If your strawberry pot has a hole at the bottom for drainage, cover this hole with aluminum foil. This way, dirt will not fall onto your table, but you can still poke a hole in the foil for drainage if you move the arrangement outside on your patio. Fill the strawberry pot almost to the top with all-purpose potting mix. 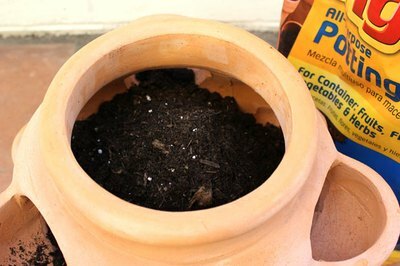 Be sure to select potting mix that is formulated for containers. As you fill the pot, some soil will also enter the pockets. A strawberry pot typically has a main, large opening in the center, with smaller pockets on the side. In the main opening, place as many herb plants as needed to fill the space. 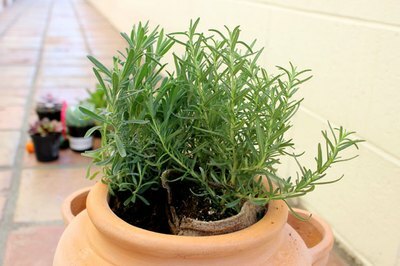 The herbs should rest directly on the soil already in the pot. 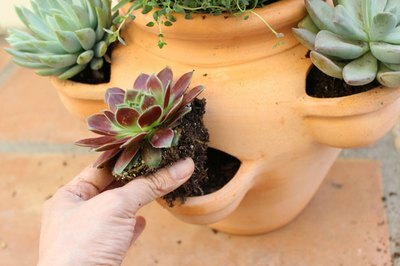 The smaller pockets of the strawberry pot are ideal places to plant individual succulents. Remove excess dirt and roots from the succulents, and fit them in to the pockets. 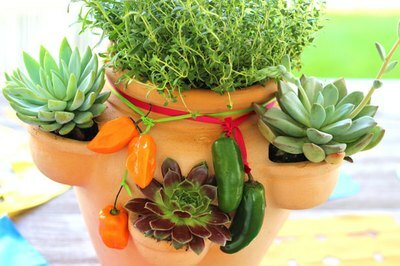 Tie ribbon around stems of chili peppers to make a south-of-the-border decorative element for the strawberry pot. When buying chili peppers, choose peppers with a long, curved stem, so there is enough for the ribbon to wrap around. 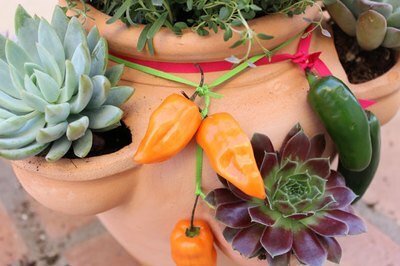 Wrap the chili pepper ribbons around the rim of the strawberry pot for a festive pop of color. Herbs and succulents have different watering needs, so as you water the herbs, be sure not to pour so much water that it floods the pockets. Also, remember to poke a hole at the bottom to allow drainage when you're no longer using the strawberry pot as a centerpiece. Prune the herbs regularly so they do not outgrow the pot.